Do Golden Retrievers Shed? If So, How Much And How Often? Golden Retrievers are an absolute joy to have around and share your life with, but if there’s one thing about them that should come with a warning, it’s their shedding. With such beautiful glossy coats, you’d be forgiven for thinking their hair is easy to manage – before you find it all over your furniture and clothes! 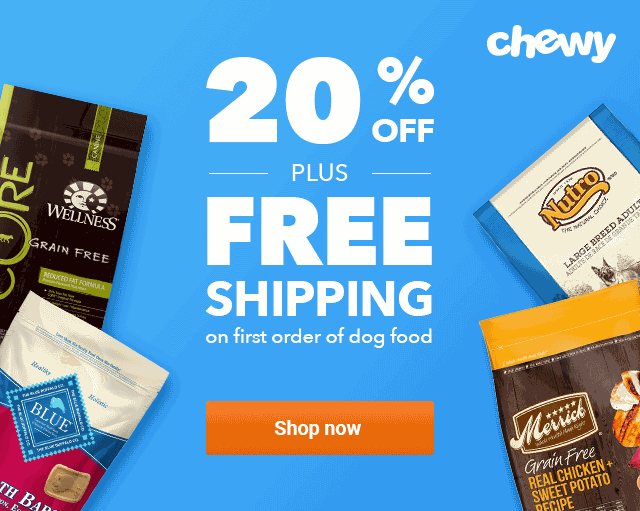 1 How Much do Golden Retrievers Shed? 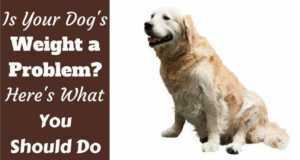 2 Why do Golden Retrievers Shed? 3 Are There any Health Reasons for Increased Shedding? 4 Can I Reduce the Amount my Golden Retriever Sheds? 5 Can I Use a Furminator on my Golden Retriever? 6 Should I Shave My Golden To Help Reduce Shedding? These beautiful dogs shed hair moderately throughout the year. And by moderately, we mean that you’ll find a few of their short, coarse hairs straying across your furniture, clothes and probably your carpets. For many golden retrievers, this shedding ramps up twice a year during the spring and fall seasons. If the shedding during the rest of the year doesn’t convince you to get a high-powered dog hair vacuum, we’re willing to bet you’ll want to during the shedding seasons! You should expect a lot of hair to escape from your golden at this time as they blow their coats, ready to grow in entirely new ones for summer and winter, respectively. It’s impossible to define exactly how much your dog is likely to shed as it varies so hugely between individual dogs, but suffice to say you’ll need to regularly vacuum your house and brush your dog if you want to keep on top of it. 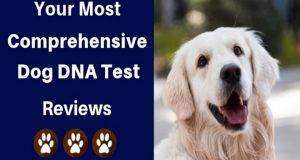 Golden retrievers are one of a few dog breeds that are equipped with a double coat, composed of a thick, downy undercoat and an oily, waterproof outer coat. This amazing duality is what makes the golden retriever so resilient to different weather types and able to spend lots of time outdoors and in the water. But, it’s a double-edged sword (at least for the owners of a golden) as the downy undercoat sheds hair often to allow new hair to grow in. The undercoat adapts to the weather and the temperature needs of your dog – during the cold winter months, they will grow an extra thick undercoat, before shedding much of it during the spring. 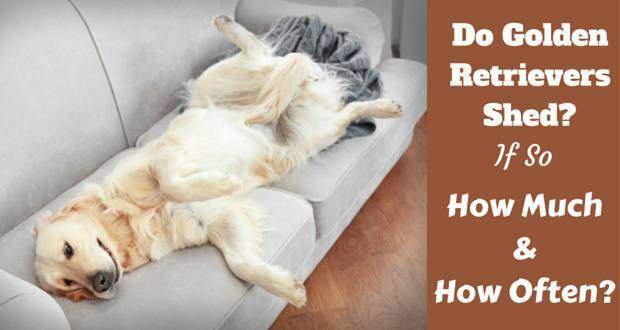 This is why shedding is so heavy during spring and fall: in spring, your golden is getting rid of their thick winter coat, and in fall getting rid of their lighter summer coat to make way for the cold winter coat growth. As a general rule, the hotter the place you live, the more your golden retriever will shed as they need less hair to stay warm. Are There any Health Reasons for Increased Shedding? 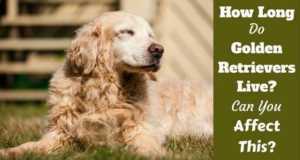 Most shedding in golden retrievers is entirely normal and natural, although there are a few health reasons that can contribute to heavier shedding than normal. Allergies can cause increased shedding as they irritate your dog’s skin and loosen the hair follicles, allowing the hair to fall out easily and quickly. These allergens could come from your dog’s food, their shampoo or even naturally outdoors – consult your vet if you suspect an allergy to find out the best way to manage it. Another issue that can cause increased shedding is parasites – particularly fleas and ticks. These will burrow and bury themselves into your pup’s skin, proving very irritable and itchy, and again encourage the hair to fall out. 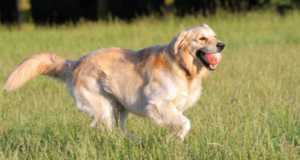 Stress can also cause increased shedding in golden retrievers – for instance, moving home or a change in the family dynamics. Just as some humans lose their hair when they’re particularly stressed or anxious, so could your dog. Can I Reduce the Amount my Golden Retriever Sheds? Although golden retrievers will always shed some hair thanks to their double coat, there are some tips and tricks you can use to ensure that the shedding is minimal and manageable. Firstly, you should commit to a daily brushing schedule. This will allow for you to remove the dead hair straight from your dog before it falls off and becomes entangled in your carpets and furniture. It will also reduce any matting and tangles. If you can’t do every day, aim for at least three times a week. 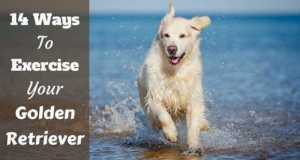 Secondly, you should make sure that your dog’s coat is as healthy and strong as possible. 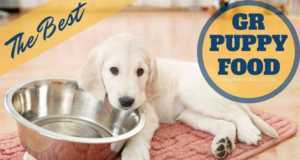 That means feeding your dog a healthy, balanced diet and avoiding anything that they could be allergic to, or low-quality dog food that is stuffed with filler instead of nutrients. Food high in protein will help to keep your dog’s hair healthy and supple, and will stop any allergy-related shedding and skin problems. Omega-3 oil supplements are also useful in restoring strength and shine to your dog’s coat. You shouldn’t bathe your golden retriever too often as chemical-filled shampoos will dry your dog’s skin and hair out, leading to increased shedding and skin problems. Just give them a bath when they’re dirty and, when you do use shampoo, make sure that it’s a high-quality anti-allergenic one that’s gentle on their skin and nourishing to their hair. Can I Use a Furminator on my Golden Retriever? A Furminator is a particular brand of de-shedding tool and is very popular with owners of golden retrievers as it allows you to brush and remove the dead hair from your dog’s undercoat while simultaneously thinning it out. It’s best to use the FURminator (or a similar de-shedding tool) once per week on your golden retriever, and you should see results quickly. As well as reduced shedding, it will also reduce the opportunity for matts and painful tangles. It isn’t necessarily a wonder cure for shedding, however, and should still be used in conjunction with daily brushing. You should also be careful when using such a tool on your golden retriever as it’s very sharp. Make sure to always use the FURminator in the direction of hair growth and don’t use it more than once or twice a week, as it can be abrasive on your dog’s skin. Should I Shave My Golden To Help Reduce Shedding? Don’t be tempted to go one step further and shave your golden retriever in a bid to stop them shedding. This will leave your dog at risk of sunburn and heatstroke, and will affect the way that their hair grows back. Nature provided Golden Retrievers with a perfectly balanced double coat, that perhaps counter-intuitively helps to keep them cool when it’s hot. Don’tinterferee with this. Great site. .we are getting a golden pup in april. Our third (girl) can’t. Wait.